The value of education depends on the time and worth placed on it. They came. They came with their forms in white paper and black prints. Their faces wore the fragile look of an aggrieved soul; dragging their knees toward about 1000 applicants at a valuable rate. They came with a high price for an increased quality of education that had been underrated by the self-acknowledged petite donations from major beneficiaries. They came with a different rule and pattern of modern way of application and living; a compulsory fine that is necessary for an unexpressed purpose. They came with an avenue to change the past or maybe, to make it seem like the past was about to change. During the harmattan season, the issue of mosquitoes is one which causes a lot of clamour for new nets and clean gutters. 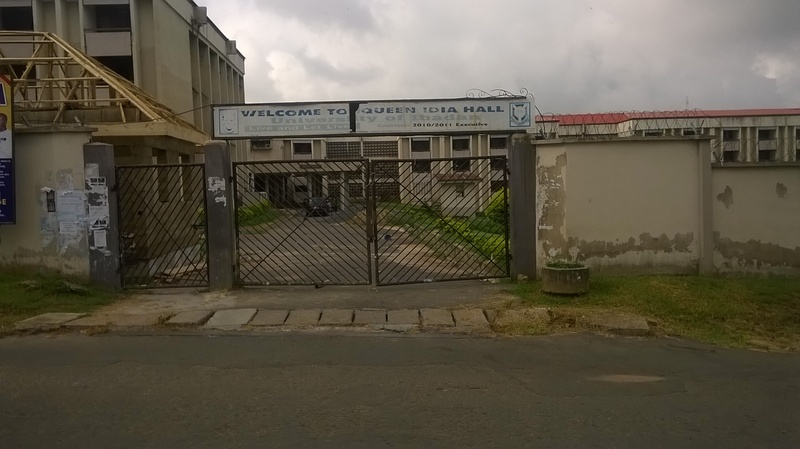 Most of the gutters in Queen Idia Hall are washed only once a week or on special occasions. The issue of new nets has been sorted out as many room with very old nets or torn ones has been change into new and stronger ones. Also, the nets along the corridors of many floors have been changed; a good one from the management. It is also remarkable that some faulty doors have been repaired and some; changed but some other rooms are yet to enjoy from such grace of benevolence and still lies in their bad state. 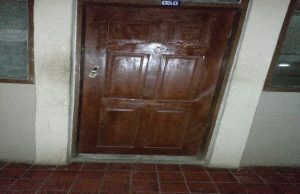 While some doors need to be changed completely, some locks also need to be repaired. Unlike many other halls of Resident in the University of Ibadan, the Queen Idia Hall has been the most remarkable hall whose flare for creating an applaudable exterior beauty has become an acceptable tradition. Even when the hall was announced to be the neatest hall in the University, it has not been uninvolved in the journey to a transformed community of Acceptable International Students. It is no longer news that the normal 14,000 that used to be the accommodation fee is no longer 14,000 but 30,000. There are not so many changes in the hall of residence. The claimed reason for the increase in the accommodation is for the betterment of the resident of the halls of residence? Why is there still no change in the manner and pattern of living? As a matter of fact, it is one of the halls that began the change every student was expecting. There are not many changes even with the 30,000. The usual six in a room is still the same after promising the students that it will become four in room. They tried adhering to that plan with the freshmen but failed in the process. In some rooms there are five people; while in others, six. Getting a four-man room depends on if you are a finalist. Some of these six-man rooms are not conducive enough, on a floor where there are only 9 rooms with two bathrooms. Why should there be six people in a room? On one of the floors, fifty-four people are sharing two toilets and two bathrooms, two cubicles each. Also, the non-existence of many bulbs or the absence of one has also been looked into. The entrance of the popular Idia Quadrangle now radiates in its glory after being seasoned with new and bright fluorescents. But a tour around the hall has revealed that a lot of rooms have faulty bulbs and sockets, while some have dim lights. 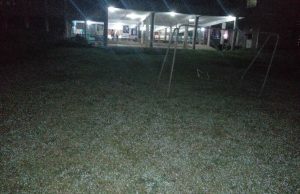 The necessary things are not being put in place; the management is only concerned with beautifying the hostel, just on Saturday they fixed more bulbs in the quadrangle. Was that really necessary? Yes. Is that the only thing needed? No. The students are complaining that the quadrangle looks rather too lit up and they feel it is unnecessary. There were bulbs in the quadrangle before they fixed the new ones, the quadrangle was still lit up, and people could still read in the quadrangle. Why did they fix new ones? When there are no bulbs in some toilets and bathrooms? There are not bulbs in some rooms? There are not bulbs in some kitchenette. Why leave the important areas where bulbs are needed? This is the 10th week and a period when a lot of students are expected to stay up all night to jack and cram whatsoever they can within the short period of time. Yet, even when every occupant had paid the same amount of money – #30,000 – some students have still been deprived of what every other occupant enjoys. Many students have complained several times to the appropriate authority but have been asked whether they knew that the electrician does not work only in Idia. Are some student supposed to have light while the others stay in an indefinite darkness? Is this kind of issue not supposed to have been sorted out during the session break? Even when a lot of students had missed classes in order to secure an accommodation are they also to miss classes in order to wait upon the electrician’s coming? 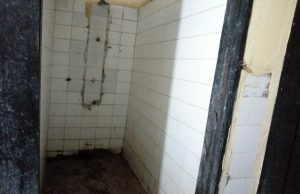 The bad state of toilets and bathrooms is still yet to be sorted out. A lot of toilet stays in its dilapidated state while the bathrooms smells like embodied rats and are both filled with mosquitoes that breeds happily on stagnant water. The washbasins are totally out of this world. 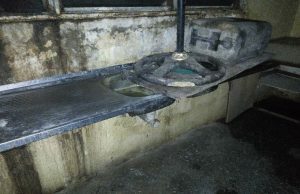 While basin contributes effectively to the presence of stagnant water in both the toilets and bathrooms, some appears to be too weak that they could fall at any point in time. Also, many bathrooms still lie in its separate world of darkness while the famous Quadrangle lit up like a full day light. The bad state of some of the kitchenette is nothing to write home. Some sinks in the kitchenettes are already blocked and that has rendered them useless. Some kitchenettes are either water logged or smelling. Apart from the fact that there are no bulbs in some of the kitchenette their conditions are terrible. It is a great crime to cook in the room yet the kitchenettes are not in good conditions. 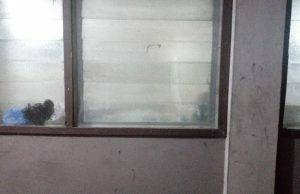 Last year, when the system of living in each room for both freshmen and stalites changed from a five-man room to a six-man room, many students were obligated to either buy or create a new bed space leading to extra bunks in the halls. Upon people’s arrival in the hall, many bunks were missing leading to its scarcity. One would have thought that these bulks were kept in order to make for the four-man room that was earlier intended. Many stallites then had to buy new bunks at the rate of five hundred naira after paying for the bed space!